Las Vegas Nevada's Leading Plumbing Company. We're Open 24 Hours 7 Days a Week to Serve You. 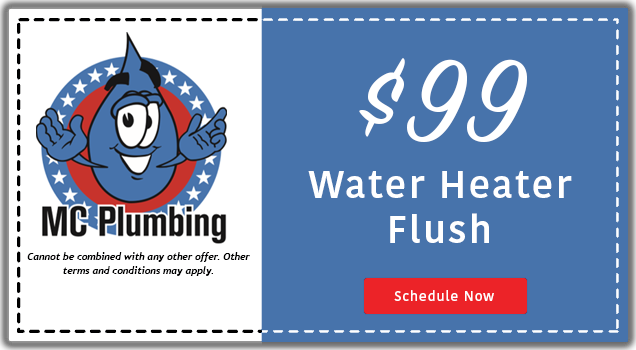 Fast, Honest, & Affordable Plumber in Las Vegas Nevada Serving All of Clark County. MC Plumbing has been the easy choice for homeowners for over 10 years. Our plumbers work day in and day out performing various residential and commercial plumbing services in Las Vegas and the surrounding areas. We keep our service vans stocked with all the materials necessary to perform an array of plumbing services including water heaters, tankless water heaters, toilets, plumbing leak detection, faucets and fixtures and other miscellaneous plumbing parts. Our plumbers in Las Vegas are constantly ready to go for any service call. We assure the fastest and most reliable plumbing services in Clark County. Our team consists of the most professional plumbers who will show the utmost respect for your time and your home. Our technicians will show up on time for service appointments and will arrive with all the necessary components to get the job done. We also specialize in emergency plumbing service, usually scheduling your repairs within 1 hour of the call. Take all the time you need to explore our website and review us online. We are sure that you will find only positive information and reviews along with a wealth of information regarding our company and the services we provide. Feel free to contact us and schedule your plumbing service need at (702) 341-5719. We are standing by awaiting your call and look forward to providing you with the best plumbing service in Clark County very soon. Call us today to speak to a licensed plumber in Las Vegas who is capable of providing you with the professional plumbing services you need. We can handle any plumbing problem ranging from residential to commercial services. Our plumbers will provide you with superior service, competitive pricing and the professionalism you deserve! Whatever service you require, whether for the appliances or fixtures in your home, you will not find a more skilled technician to attend to your needs. We staff only the most experienced Plumbers in Las Vegas whose work and attitude is in alignment with our own; To provide the highest quality plumbing services at the best value possible with a professional and friendly attitude each and every time. 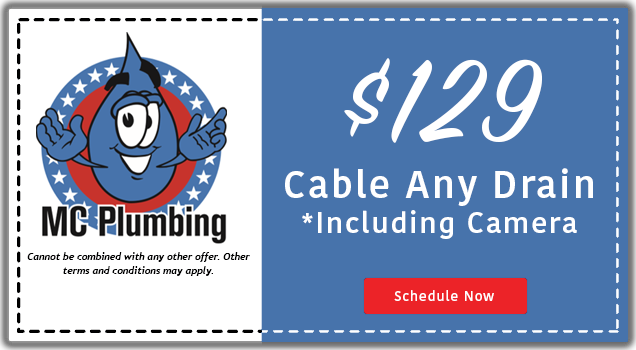 MC Plumbing offers same day plumbing service throughout Clark County Nevada. With fully stocked trucks standing by and ready for dispatch, we pride ourselves on having the fastest response times in Las Vegas. Having been a multiple time recipient of the Angie’s List Super Service Award for 2009-2018 and maintaining an A+ Rating with the Better Business Bureau it comes to no surprise to our customers that we take their satisfaction very seriously. MC Plumbing has been the easy choice for homeowners for over 10 years. Our plumbers work day in and day out performing various residential and commercial plumbing services in Las Vegas and the surrounding areas. All of our plumbers are licensed journeymen and are constantly ready to go for any service call or emergency. We assure the fastest and most reliable plumbing service in Las Vegas. Our technicians will show up on time for service appointments and will arrive with all the necessary components to get the job done. We look forward to servicing your plumbing needs. Provide high quality plumbing service. Both on time and on budget for each and every customer we serve. 100% satisfaction, nothing less. Hard work, honesty, and getting the job done right is embedded in our culture. Our history of quality work, and striving to be the best is central to our reputation today. Fast, Honest and Dependable service is our core mission. Call MC Plumbing, LLC today to find out why our customers choose us for all their plumbing needs! Far and away the most populated city in the state of Nevada, Las Vegas is home to many residential and commercial plumbing companies. Situated in Clark County, Las Vegas is a major resort city surrounded by residential homes and many commercial businesses. All of which require plumbing maintenance, service and repairs to ensure their facilities plumbing is running in top form. If you are in need of a licensed local plumber in Las Vegas, look no further than MC Plumbing, LLC. We are the premier choice for plumbing service in Las Vegas, Henderson, North Las Vegas, Paradise, Sunrise Manor, and the entire Clark County area. Whether you are in need of clogged drain cleaning, water heater services, or sewer line location, inspection or repair, we have you covered! Our team of dedicated technicians are committed to providing fast, affordable, & high-quality plumbing in Las Vegas 7 days a week! Our plumbers are trained in all types of plumbing services. We serve commercial buildings, apartments, hotels, and single family homes, with wide array of plumbing services. From water heater installations, to clogged drain cleaning, sewer line repair and replacement, to faucet and fixture installations; We really do it all! It is all but a guarantee that at some point in their life every home or business owner will need to rely on a plumber to keep their homes plumbing system running smoothly. 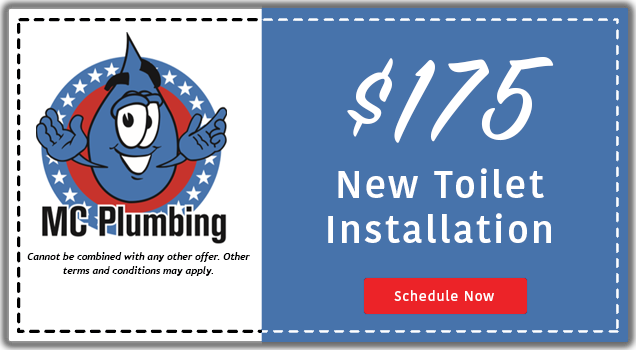 Let MC Plumbing in Las Vegas be the plumber you choose! We provide fast and affordable plumbing service in Las Vegas 7 Days a week. With free estimates, honest up-front pricing, and a licensed, drug tested, and background checked team, it is not hard to see why we are the go-to plumber in Las Vegas, NV. Far and away the most common reasons any homeowner will need a plumber are clogged toilets, sinks, and drains. From soap scum & hair build up that causes tub drains to become blocked, to toilets that develop clogs for any number of reasons, an improperly functioning drain is never something to be taken lightly. Left unresolved, plumbing clogs can cause water to back up into your home, creating excessive damage to flooring if flooding occurs. Plus, who wants to deal with the mess left behind when a toilet runs over after an attempt to flush it goes poorly? Although MC Plumbing will be there for you if this occurs in your home, we prefer to prevent these sort of back ups from ever happening in the first place. Give MC Plumbing a call today to schedule your drain cleaning in Las Vegas and keep your homes pipes flowing smoothly! Your drain and sewer lines are vital components to your home plumbing system. Without proper drainage, both the well being of your family and home may be in danger. Don’t waste your time or money on harsh over the counter chemicals that don’t work or only work temporarily. Call MC Plumbing LLC the leading company for Drain Cleaning Las Vegas at (702) 341-5719. 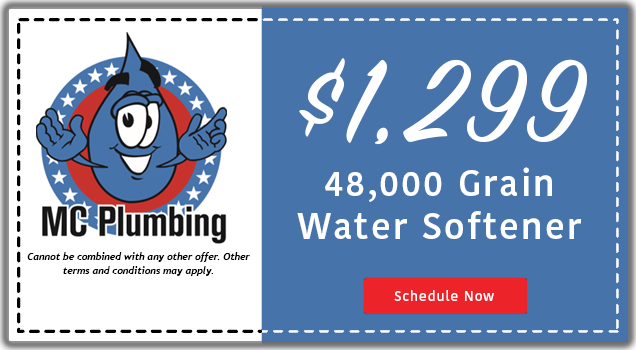 We specialize in clearing tough clogs that are too stubborn for over the counter chemicals like Drain-o and Liquid Plumber. We can clear up your clogged drain both effectively and efficiently with virtually no mess and minimal cost. Most drains are cleared once and for all. Leak Detection is the process of locating and then isolating a water leak in a home or businesses plumbing system. Water leaks aren’t always easy to locate or diagnose. Leaks that occur under sinks or due to burst pipes are typically easy to identify. While smaller pinpoint leaks that occur under slabs can be much more difficult to locate. Regardless of the location of your homes plumbing leak, MC Plumbing in Las Vegas has the necessary skillset and equipment to diagnose and repair plumbing leaks fast! Our service veh!icles are stocked with the equipment necessary to narrow down the exact location of a water or sewer line leak, fast! Whether your water heater suddenly stopped working, or you’re simply exploring your upgrade options, we are here to help! MC Plumbing in Las Vegas provides fast & affordable water heater repair and installation options 7 days a week. From gas to electric, standard to tankless, there are no water heater types that we are not proficient at repairing or installing. We even provide free water heater installation estimates to save you time and money on your search for a new hot water heater. Explore more about our water heater services in Las Vegas here.